The GANZ® Flat-A-Pat Blankies are made of very soft "curly" fur fabric. 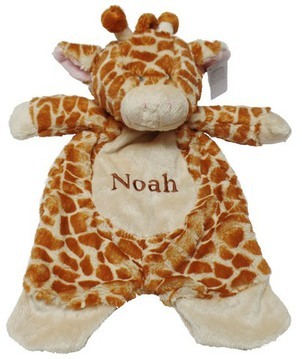 The face details are all embroidered.The animal heads and arms are stuffed with 100% polyester fiberfill. They blankets measure 18" .They are machine washable. GANZ® products meet or exceed U.S.A. Voluntary Product Safety Standards ASTM F963 and all Canadian Safety Regulations.